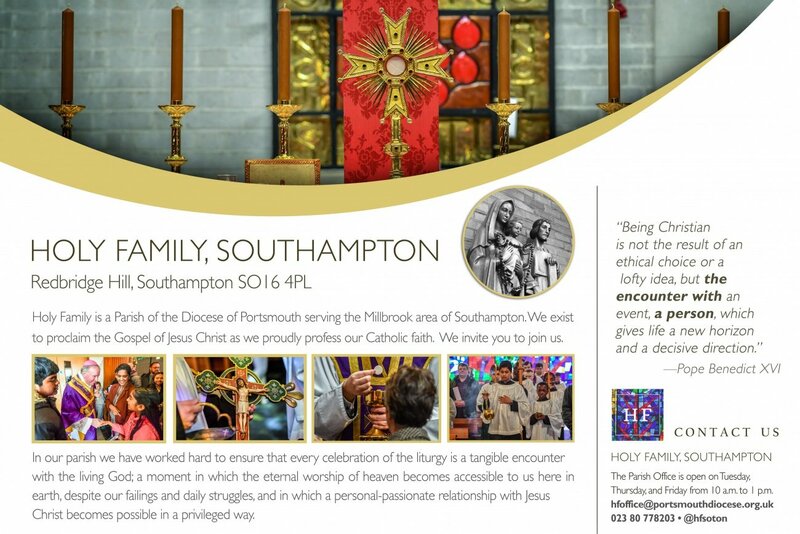 Holy Family is a Parish of the Diocese of Portsmouth serving the Millbrook area of Southampton. We exist to proclaim the Gospel of Jesus Christ as we proudly profess our Catholic faith. Eucharistic Adoration - Fridays: 10 a.m. to 6 p.m.
Monday, Tuesday, Thursday, and Friday from 10 a.m. to 1 p.m.